While Seminole Hard Rock Hollywood brings a bit of Vegas to South Florida, Gulfstream Park Casino imparts a very distinctive Florida feel. 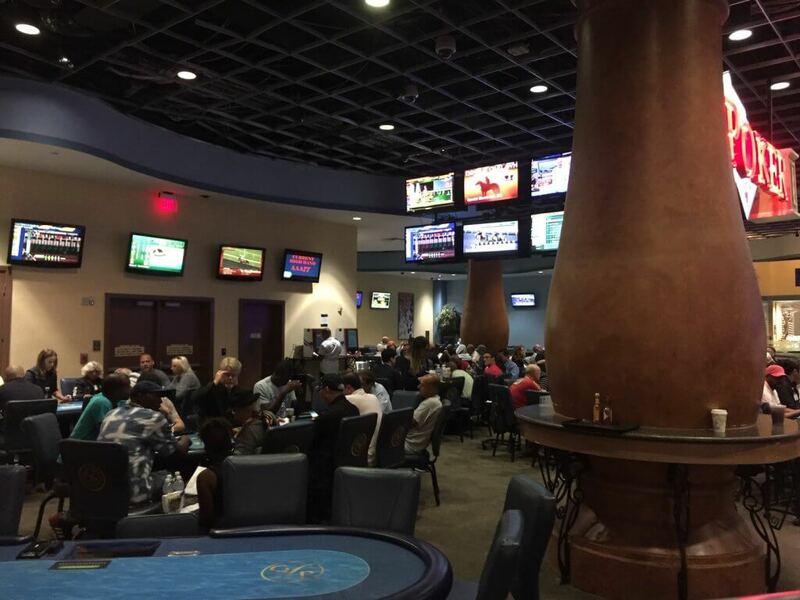 The Gulfstream Park poker room is housed alongside one of Florida’s famed thoroughbred horse tracks. The track complex offers a massive village of upscale restaurants and retail stores. The whole experience is quintessential South Florida. Unfortunately, the casino and poker room seem to be an afterthought to the more lucrative priorities. Gulfstream Park in Hallandale Beach is about 15-20 minutes directly south of the Ft. Lauderdale airport and about a half an hour northeast of Miami International. Gulfstream Park hosts a massive complex of high end shopping, restaurants, live and simulcast thoroughbred racing, and a casino. The beige stucco architecture gives the place a distinctive Spanish Mediterranean flavor. Beautiful palm trees, shrubs, and other greenery grow everywhere. Unfortunately, the casino, and particularly the poker room, are the redheaded stepchild to horse racing and dining/retail outlets. The main casino (there are two) consists of a modest room of slot machines ringed by simulcast racing. A number of people were placing bets and following races on the Friday evening of our visit. Wind your way to the back right corner of the casino and you’ll find the open poker area. One major plus of Gulfstream Park is that there is no smoking on the gaming floors. Gulfstream Park is renowned for its long history of thoroughbred racing. We caught a brief look at the track, and it was gorgeous. Gulfstream does not have its own hotel, but offers a page of local hotel partners on its website. There are over 700 slots, but no live table games other than poker. The facility has really put an emphasis on dining. There are twenty restaurants, covering a wide range of price-points and cuisines. 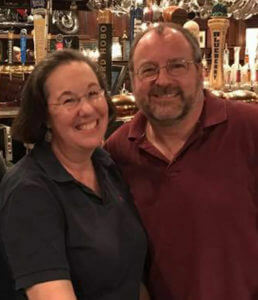 Here you will find Brazilian, Italian, Mexican, Asian, Lebanese, and French, as well as several spots with traditional American fare. The shopping offerings abound with upper middle class therapy stores like West Elm, Pottery Barn, and the Container Store. The 20 table Gulfstream Park poker room’s openness to the slots and simulcast action was less than ideal. The poker room was very loud, and hectic. The ceilings were low, so despite the lack of smoke, the air did not feel particularly fresh and the room was hot. While the chairs were generally comfortable, they were not adjustable, and several featured ripped fabric. The carpeting was old and dirty. The room featured a number of small TVs, mostly showing racing. The restrooms were right around the corner from the poker room. Every stall in the women’s room was either dirty or out of order. Several featured latches that did not work (and one jammed!) While Gulfstream was far from the worst poker room we have ever played in, the contrast between the beautiful setting and the dingy poker room was jarring. While the cash tables were closely packed, the tournament area seemed to have a bit more space. Despite an overall dark feeling in the room, the tables themselves were well lit. The poker felts were clean but a little worn. The chips were also clean, new, and the colors were sufficiently distinct. There were shufflers in the tables, which sped the game along. Our 7:00 pm tournament started ten minutes late. There were no chips or dealer at my table until nine minutes past the hour. The floor appeared businesslike, but his attention strayed throughout the tournament. He failed to start the clock at the beginning of the tournament and again after the first break. Something funky happened to the clock mid-tournament and it suddenly got set back ten minutes. The dealers, on the other hand, were very good, serious, and professional. The waitresses were attentive, and came around regularly. The players at the Gulfstream Poker Room were serious and focused. Most appeared quite experienced. These were among the best players we encountered in South Florida. Players varied quite a bit in level of aggression and looseness. Most players were fairly tight, but a few played very aggressively, both pre and post flop. Most players were pleasant. Heather was one of only three women in the entire tournament field of over 60 players. We noted that there were only a handful of women playing cash as well. 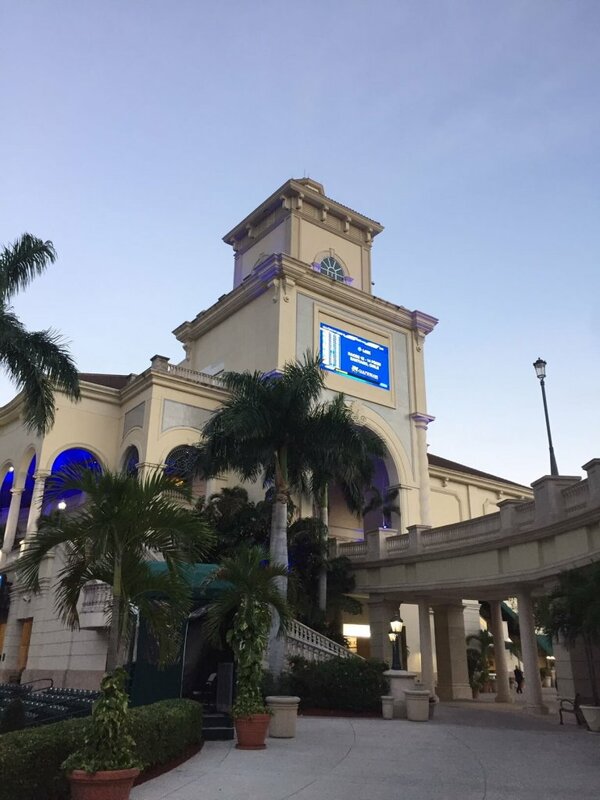 Gulfstream Park offers a 7:00 pm tournament every night. Buy-ins range from $60 to $100. 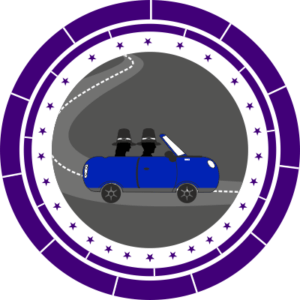 The Wednesday offering is PLO, and the remainder are NLH. Most feature 20 minute blinds, with starting stacks ranging from 10K to 30K. All events offer rebuys and add-on options. Gulfstream Park does not report their tournament numbers to Bravo or Poker Atlas, so we can not guess their regular tournament fields. However, the Friday evening tournament we played had 76 entries. Several players rebought three or more times. Our event offered 30,000 starting chips, 20 minute blinds, rebuys, and three levels of add on at the end of registration. Add on options were $20 for 10,000 chips, $40 for 25,000 and $60 for 50,000 chips. I was out by the end of registration, but Heather added on for the full amount. Most other players did as well, and several bought in for the first time at that point (similar to Dania Beach). If you have a low to moderate stack at the end of registration you almost have to add on to compete. Gulfstream Park was the only poker room we played in South Florida that still included individual antes. Once you get used to a big blind ante or the equivalent, individual antes seem tortuous. I imagine that not too long after this writing (March 2019) this will change. The biggest drawback of playing at Gulfstream Park was the $22 rake ($15 player fee/$7 admin fee) on a $60 entry (which comes to 37%)! This is the highest rake we have ever encountered. Rake was generally high across South Florida, at least partially due to the eligibility of tournament players for High Hand giveaways. But even with that, 37% is outrageous. Another oddity we encountered at Gulfstream park occurred when they opened a new table. The floor asked for volunteers to move to fill the new table rather than drawing players randomly. The Gulfstream Park poker room cash volume is fairly modest compared with other South Florida rooms such as Seminole Hard Rock Hollywood, Seminole Coconut Creek, and Isle Casino Pompano Park. On weeknights they get 3-4 $1/$2 NLH tables, 2-3 tables of $2/$5, and not more than a table or two of anything else. Unlike most rooms, volume does not grow substantially on the weekends. In the region, among rooms with at least 10 tables, only Dania Beach does less overall cash volume. There were 4-5 tables of cash play during the Friday night we were there. The Gulfstream Park facility is physically impressive and offers diverse dining and entertainment options. Unfortunately, the casino and especially the poker room do not seem to be a priority. The physical space and location of the room speaks to that: stuck in the back of the casino with slot machines and simulcast betting competing for attention. This lack of regard filters down to the care of the room and motivation of the personnel, with worn felts, dirty restrooms, and a floor with drifting attention. The contrast between the poker room and the beautifully kept exterior is striking. Not surprisingly, the modest volume of cash play combined with only a single tournament each day makes Gulfstream one of the weakest rooms for activity in South Florida. Add to this the ridiculously high tournament rake, and there is not much to recommend Gulfstream Park. Nonetheless, the players here were pretty strong, and fairly pleasant. Overall, the Gulfstream Park poker room offers a somewhat depressing ambiance and was among the most disappointing of the South Florida rooms we visited. 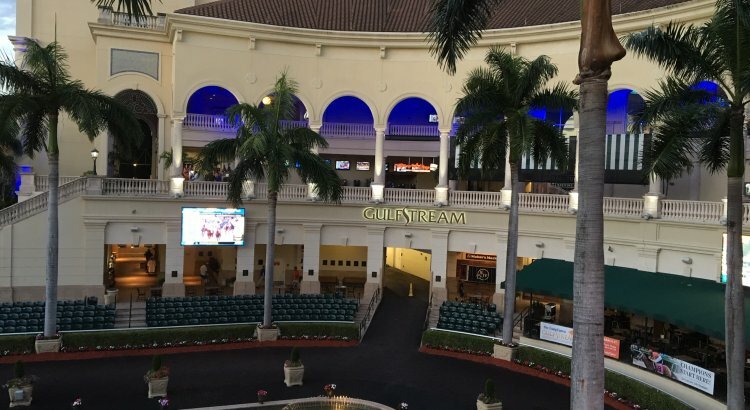 The Gulfstream Park facility is physically impressive and offers diverse dining and entertainment options. Unfortunately, the poker room does not seem to be a priority. The physical space and location of the room speaks to that: stuck in the back of the casino with slot machines and simulcast betting competing for attention. This lack of regard filters down to the care of the room and motivation of the personnel, with worn felts, dirty restrooms, and a floor with drifting attention. The contrast between the poker room and the beautifully kept exterior is striking.